Although the Second World War was at an end, the Football League divided its competition into regional sections for the 1945-46 season because of the exceptional conditions at that time, with so many players still serving in the Armed Forces or employed on essential war work. Argyle played in the Football League South that season, against first-class opposition such as Arsenal, Chelsea, Spurs, Aston Villa and Wolves. It proved impossible for the Pilgrims to field a regular side; 72 players made an appearance and performances inevitably suffered. From week to week the club called on Armed Services players who were stationed in the area, guest players from other League clubs and local amateurs to supplement its registered playing staff. Smale was one of 27 in the guest category. Born in Victoria in London, the outside-left started out in non-league football with Kingstonian before signing for Chelsea in 1936. However, he found chances at Stamford Bridge hard to come by and made just nine appearances before the war, but did tour South America with the club. As well as his three guest appearances for Argyle in November 1945, he also had associations with Queens Park Rangers, Norwich City, Torquay United and Merthyr Tydfil, and when stationed at Colchester Garrison, played regularly for non-league Colchester United. 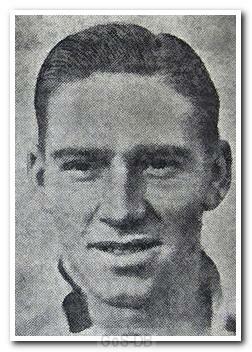 Prior to his passing at the age of 92 in 2006, he was the oldest living ex-Chelsea player.